At the Coxwell Dental Health Centre we are compassionate and take the time to listen so as to fully understand our patients’ health and financial situations in order to find ways to best help them. We’re committed to going above and beyond expectations to take care of our patients, ensuring they have healthy smiles and optimal oral health. Our caring staff helps work out any concerns our patients may have and works hard to educate them to calm any anxieties they may have with the dental process – we’re especially great with children. We give special care and attention to children including soft-touch cleaning, topical fluoride applications and cavity-preventing sealants. Our primary goal at the Coxwell Dental Health Centre is to make our patients feel confident and comfortable, knowing they can trust us to provide them with exceptional dental service. 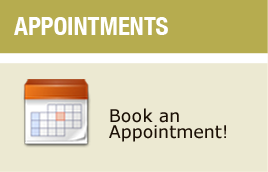 Call one of our friendly receptionists and schedule an appointment with us today!